Regardless of the industry you happen to work in, we can all agree on one thing: keeping customers happy is hard, doubly so if you run a high-traffic website with a constantly active support section. With all of the plates you’re no doubt spinning, delivering top-notch support is something that often slips through the cracks. There are plenty of ways to keep customers happy, but few are as effective as engaging them directly. Live chat enables you to do so without forcing customers to send support emails or make phone calls – a win-win all around. 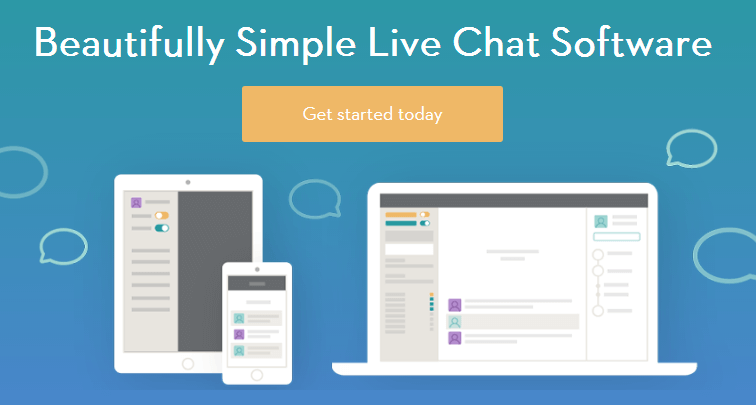 In this article, we’ll explore five of our favorite live chat tools for all types of websites, including their key features, who would benefit from each, and pricing information. Let’s get started! LivePerson is a thorough live chat tool that brings lots of advanced functionality to the table including mobile integration, analytics, agent scoring tools, and much more. The platform also offers some of the best analytics dashboards in the field, and includes essential information such as average chat length and overall satisfaction scores. One of our favorite features is the Driving Consumer Sentiment section, which uses text analytics to identify trends among customer service reviews. Offers web and mobile live chat tools for support agents. Provides excellent scalability and security features. Enables you to view in-depth customer satisfaction analytics. Offers response time estimates, which are calculated using your past averages. LivePerson is an ideal choice for businesses that need a robust and scalable live chat solution. It places emphasis on security, and its analytics dashboard is second to none. If you like to run a data-driven operation, look no further. Small teams of up to three users can purchase a subscription for $49 per month, but there are also custom plans available for larger teams. 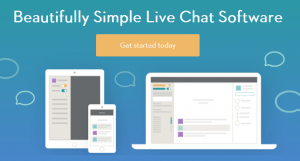 Pure Chat is one of our favorite live chat tools from an ease of use perspective. Its dashboard is highly-accessible, and provides you with all of the information you’ll need at a glance including incoming chats, how long customers have been waiting, and other members of your work team. 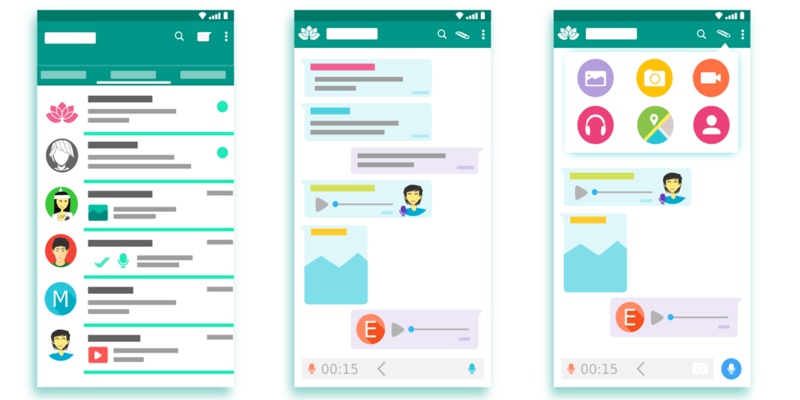 Furthermore, the platform enables you to keep track of your interactions with each customer (including chat transcripts), and record any emails you’ve sent to them. Provides an informative and accessible dashboard. Enables you to communicate with the other members of your team efficiently. Lets you keep records of all communications between you and your clients. Helps track incoming chats and customer waiting times. Pure Chat is an excellent choice for small businesses that need a modest live chat operation. The platform doesn’t include many advanced features, but training new agents to use it is remarkably simple. Starting at $10 per month for a single agent. Zendesk is one of the more famous names in the live chat field, and it’s easy to see why. It offers a fantastic range of features, and has accessible prices depending on the scale of your operation. Best of all, the platform itself is pretty simple to use. You can monitor the performance of your agents from a simple dashboard, which keeps you up to date with the number of active chats, waiting times, and any satisfaction ratings. If you aren’t satisfied with your metrics, you can always add new agents as you see fit to increase satisfaction. Offers pre-chat forms to identify and prioritize urgent cases. Lets you monitor users as they move through your site in real time. 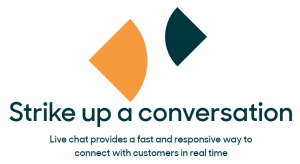 Enables you to strike up chats automatically depending on customer behavior. Lets you share media files with clients for more efficient communication. If you’re looking for an all-around reliable live chat solution, Zendesk could be perfect. One-man operations will appreciate the fact that Zendesk offers a limited free plan, with reasonable prices per agent on premium packages. On the other hand, Zendesk also adapts well to larger operations with considerable budgets. It’s quite simply a good fit for any sized business. The free plan is limited to a single agent, and premium packages start at $11.20 per month, per each agent. While LiveAgent supports live chat, it’s a multi-channel help desk platform too. That means it can also manage phone calls, e-mails, and social media messaging. The live chat element includes all of the bells and whistles you’d expect, including feedback management and real-time monitoring. Offers a multi-channel support system, with an emphasis on live chat and email. Enables you to handle queries using iOS and Android apps. Lets you customize your live chat windows using animations and a gallery of layouts. Enables you to check out what your customers are typing in real time. LiveAgent doesn’t reinvent the wheel when it comes to live chat, but it is one of the best multi-channel platforms out there. If you don’t want to limit your support outreach to live chat and email, give it a shot! Starting at $12 per month, per agent. Fresdesk hardly needs an introduction. It’s one of the most popular multi-channel support platforms available today, thanks to its great mix of advanced features and accessible prices. While the platform is famous for its traditional ticket management system, its live chat elements are nothing to sneeze at either. It enables you to transfer chats between agents, provides detailed customer information, and offers detailed reports. Helps keep track of your live chats. Converts chats to tickets for better follow-up. Enables agents to initiate conversations with customers who might need help. Lets you chat with your fellow agents to discuss specific cases. Not only is Freshdesk one of the best multi-channel support platforms out there. It also offers a fantastic free plan for starter websites, which supports up to three agents. In our book, that makes it the go-to choice for small businesses looking to set up a multi-agent team on a budget. The free plan supports up to three agents, and each agent costs $15 per month afterward. Live chat is a fantastic tool to help manage your support queries more efficiently. Whereas both email and phone calls can take up lots of your time, an experienced agent can juggle several live chats at once. That means shorter waiting times and happier customers. LivePerson: A robust platform with in-depth analytics. Pure Chat: The near-perfect choice for modest live chat operations. Zendesk: A great solution for budget and enterprise customers. LiveAgent: A robust a multi-channel platform. Freshdesk: In our opinion, the best multi-channel platform for websites on a budget. Do you think live chat is the best way to engage with your online customers? Share your opinions with us in the comments section below!